It’s hard not to appreciate the great strides that has occurred in photography in the last 15 years. And even more so in the last couple of centuries when photography was first invented. 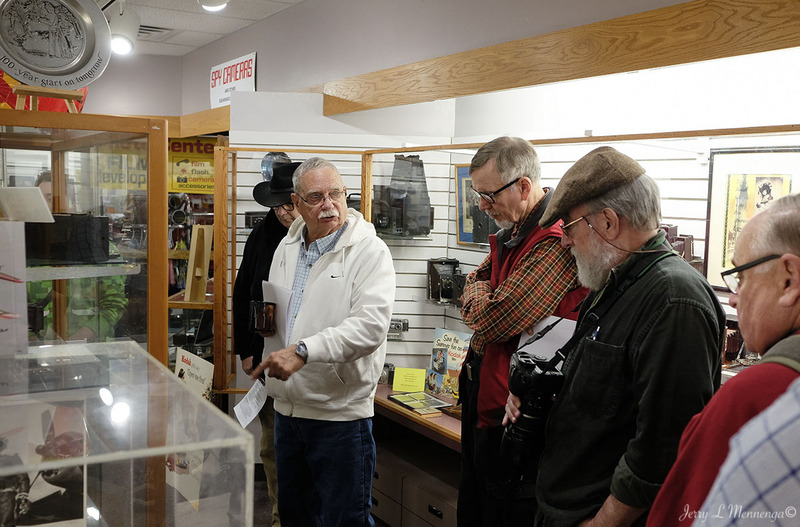 I recently spent some time with members of the Sioux City Camera Club as they visited with Lynn Muller, a former instructor at the University of South Dakota in Vermillion, SD, as he gave us a personal tour of his most extensive collection of Kodak cameras and memorabilia. 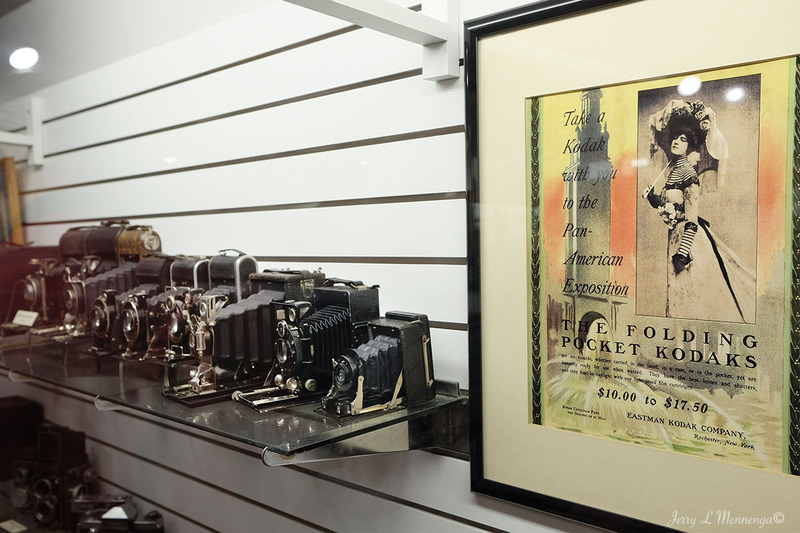 Mr. Muller has been collecting cameras for quite some time, and his knowledge of George Eastman and his quest to supply everyone with a camera is impressive and almost overwhelming. 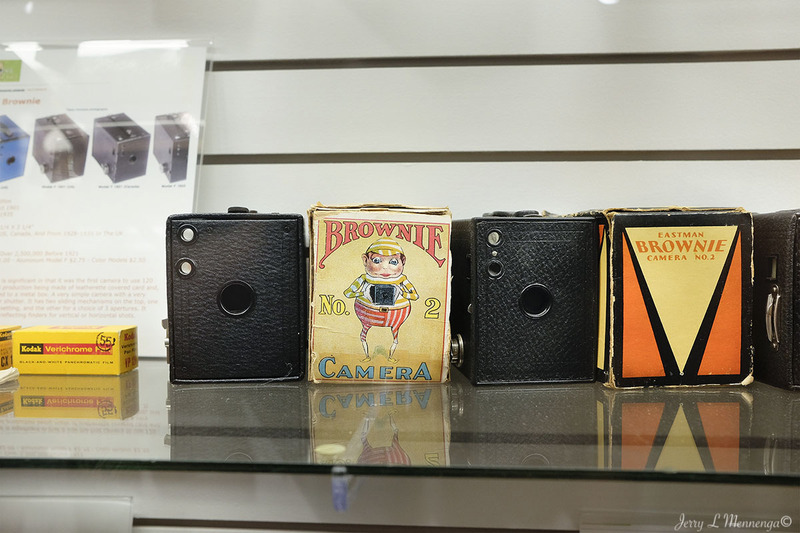 I previously visited with Mr. Muller and learned a lot then about his camera collection. This time I paid more attention to what he said about Mr. Eastman building his photographic empire. Inventing roll film to replace glass plates that made photography something many more people could do without worrying about knowing chemistry and accumulating the necessary items for printing as well as developing film. Mr. Muller taught marketing at USD so is in a good area to understand Mr Eastman’s approach to selling his photo memory pitch to the average family, and how it changed through the years. 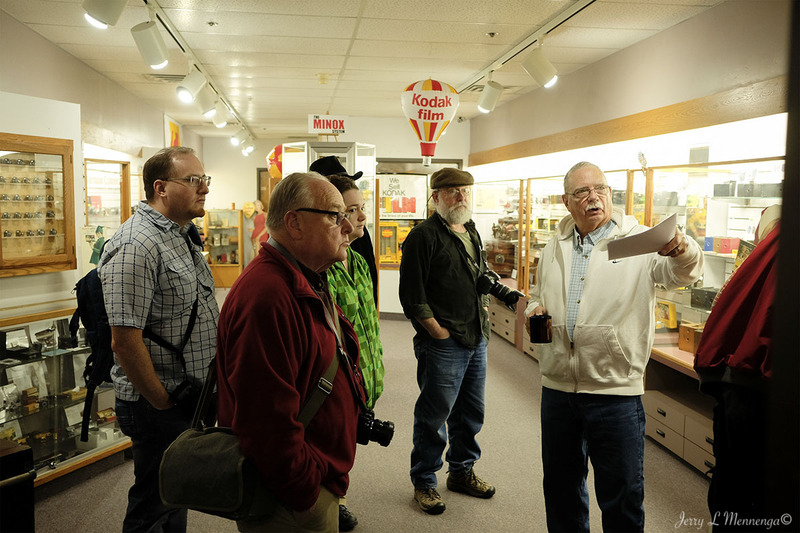 The Camera Club easily spent a couple of hours viewing the collection and listening to the history, and then spent more time talking about the craft of photography over coffee and cookies. Even though the craft of photography and its tools has immensely changed in the last few years, it wouldn’t thrive without willing participants who like those that came before them are trying to improve their own photographic skills and use their cameras to explore their world around them.